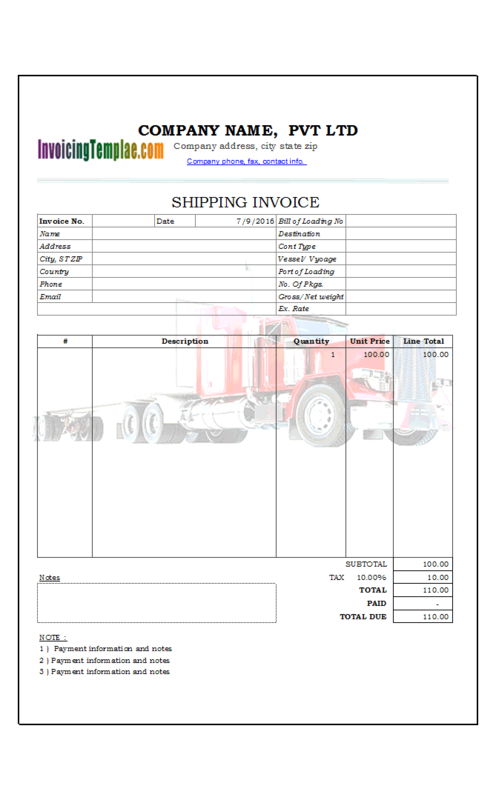 Auto Parts Invoice is a sub-topic of Service Invoicing Formats . 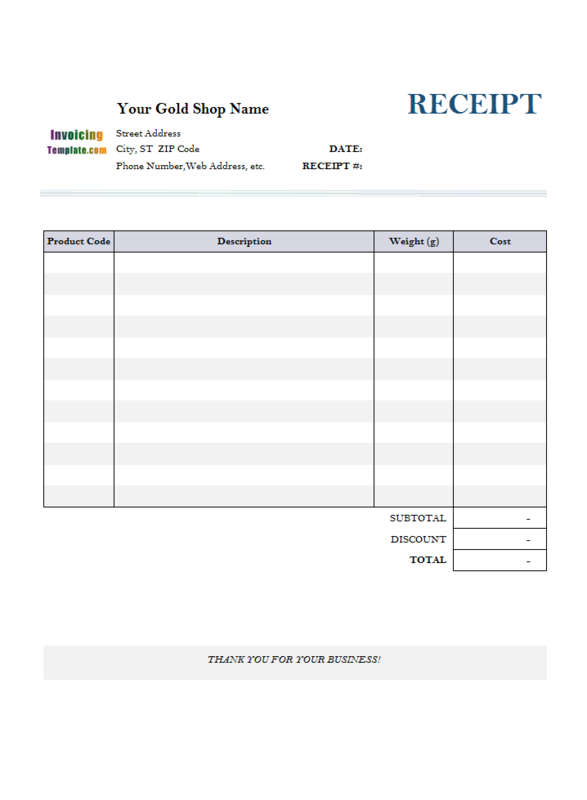 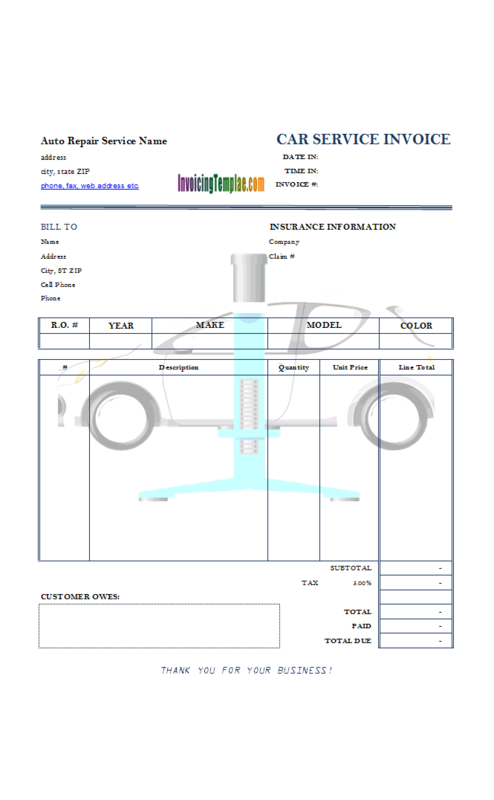 Here are our templates closely related to Auto Parts Invoice. 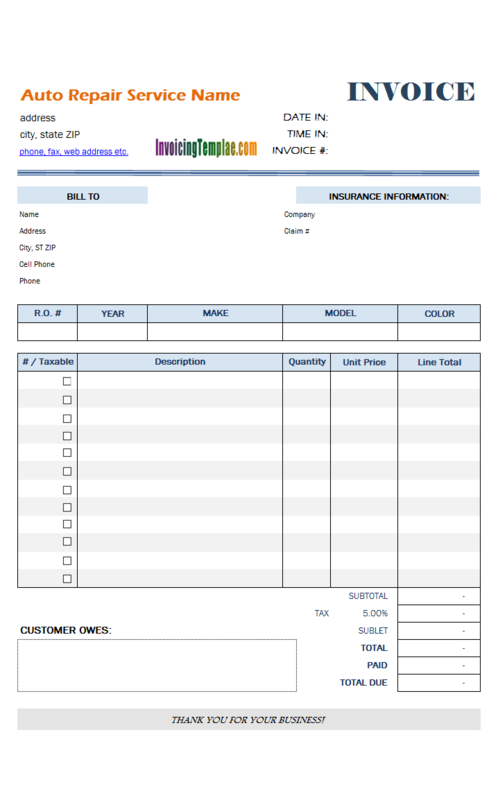 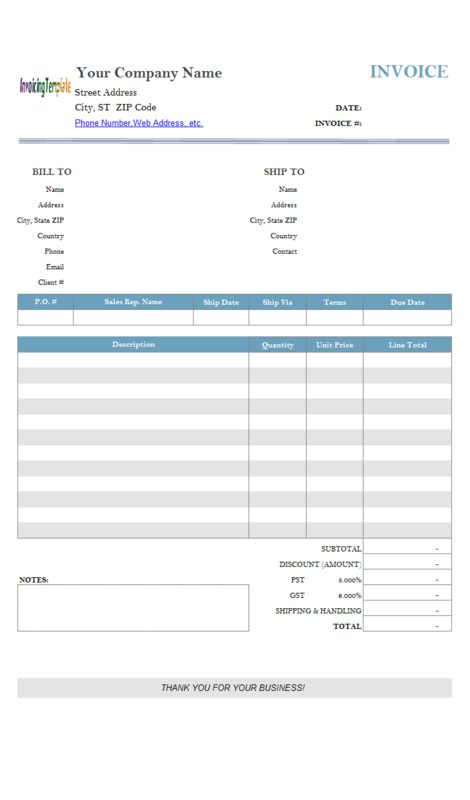 This free printable parts and labor billing format for Microsoft Excel shipping and delivery information, unit prices, rate, and more, as well as a box in which to note the date and invoice number. 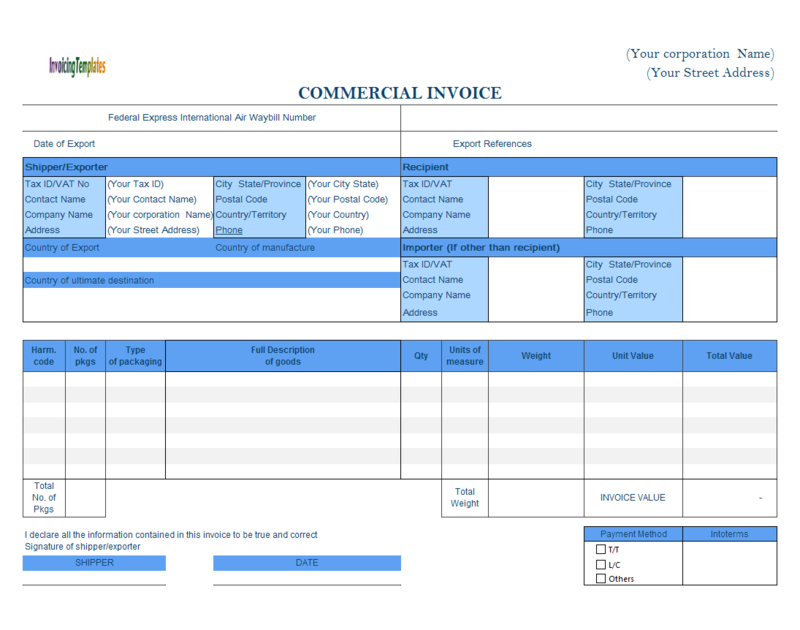 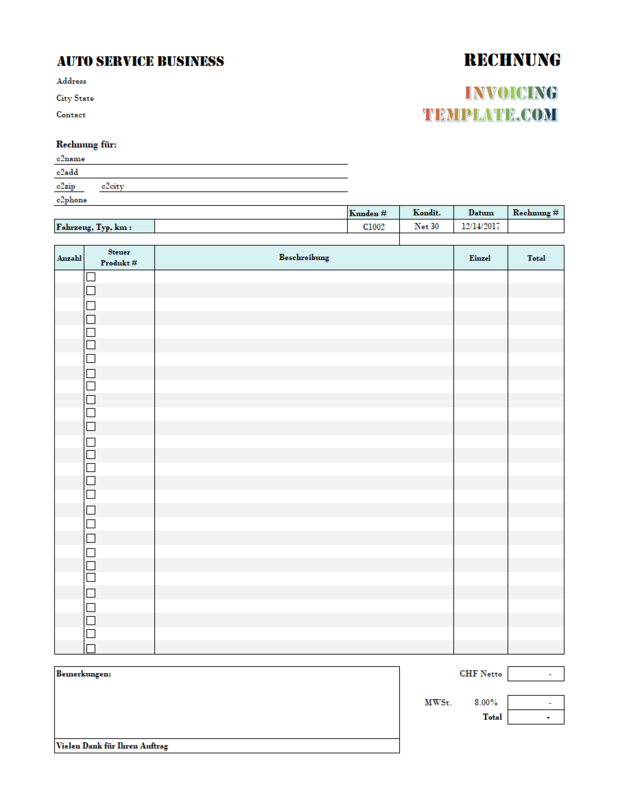 You can also download a PDF version of this template here on InvoicingTemplate.com. 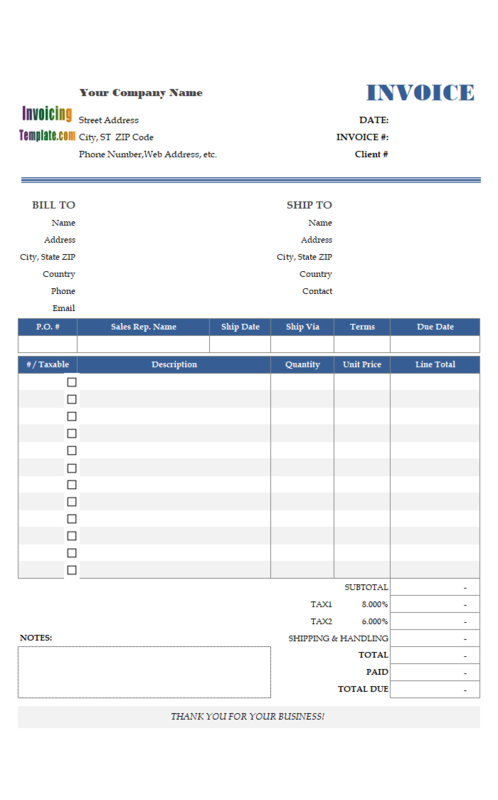 Unlike the our Excel labor invoice template, the detail section on this invoicing form is divided into two section, each section has its own tax rate and calculation formula. 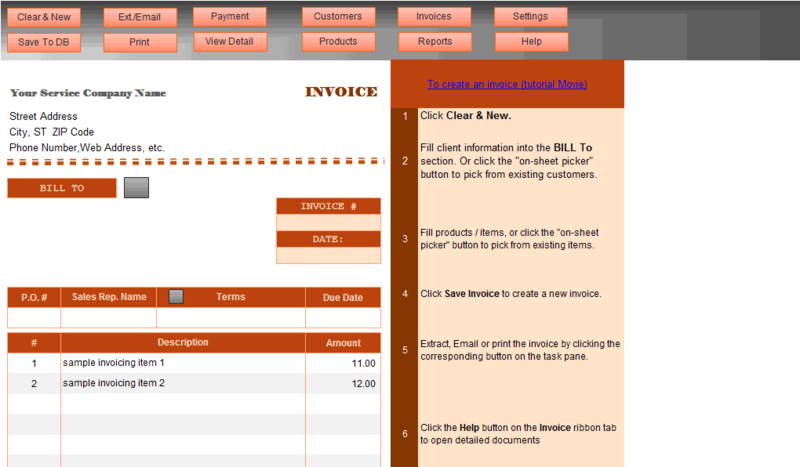 Click the "Design Mode" button on the "Invoice" ribbon tab to switch to design mode. 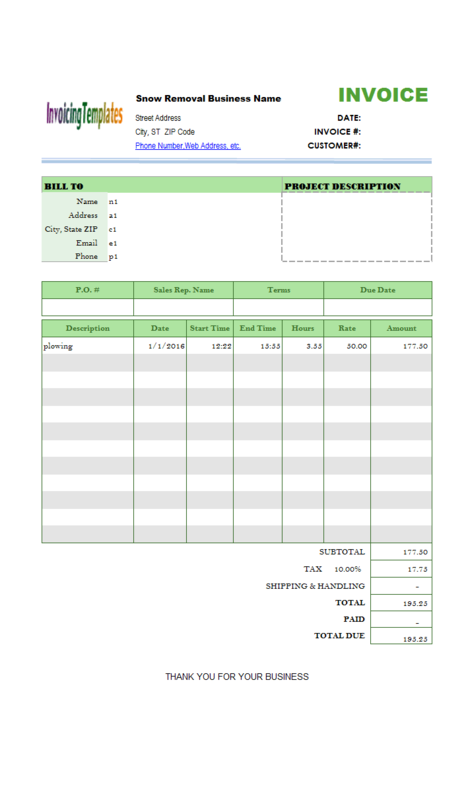 Go to Excel "Page Layout" ribbon tab and click the "down arrow" button in the "Page Setup" group. 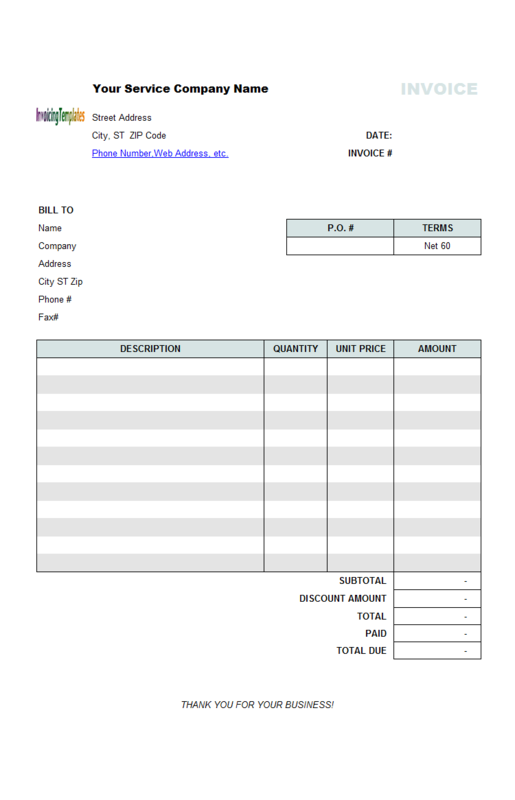 This opens the "Page Setup" dialog box. 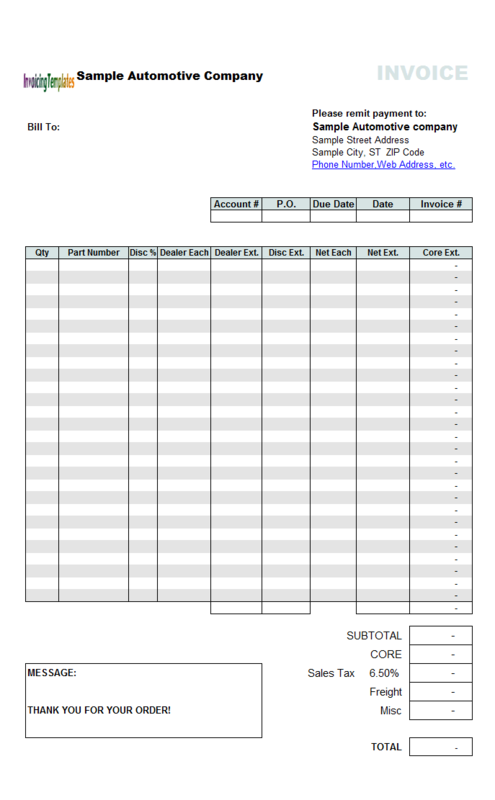 Click and activate the "Header / Footer" tab. 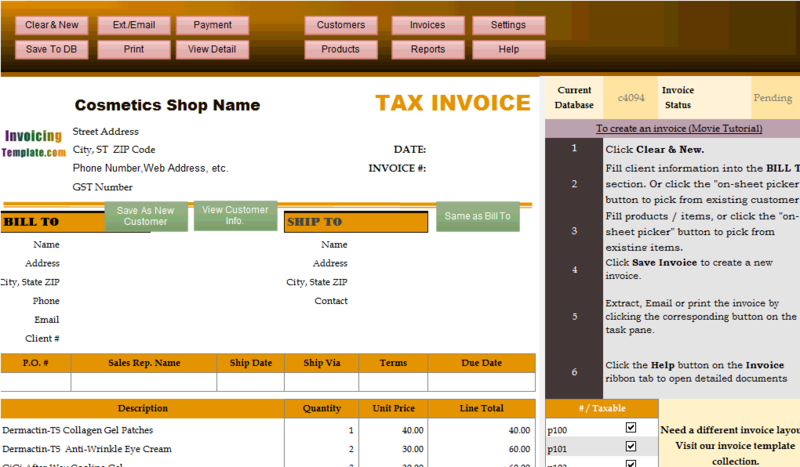 Click the "Custom Header" button. 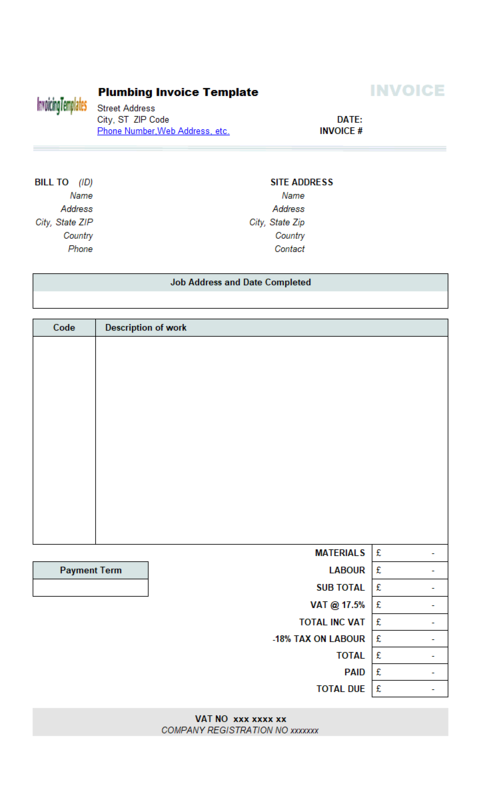 Delete all the content in the "Center section" box. 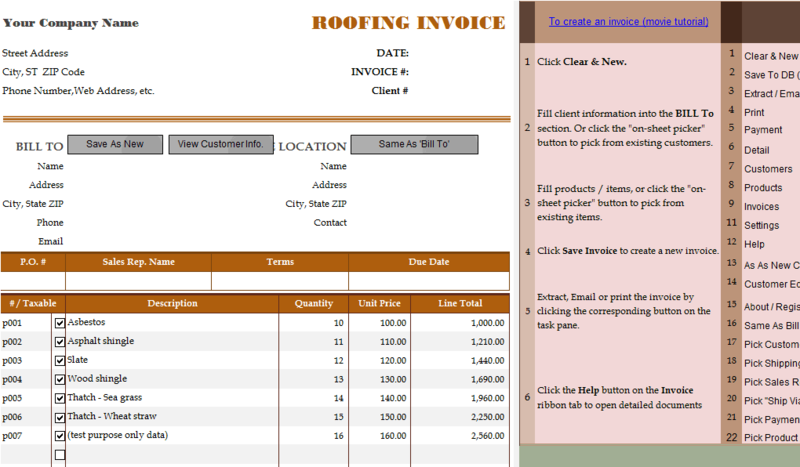 Click OK on each dialog boxes to close them. 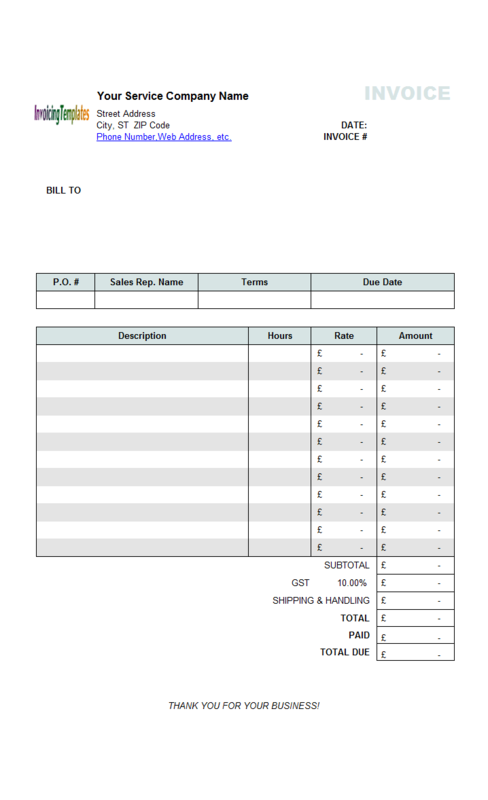 The second way to quickly fill in items into the invoice or bill is that you can enter the product# (this could be your SKU# or barcode retrieved with a scanner) into the "Product ID" field, which is put outside the printable form. 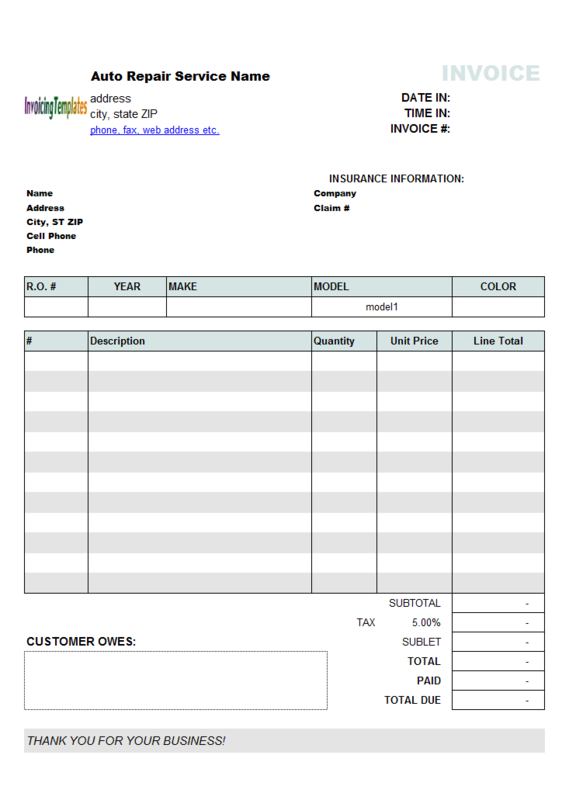 With this new version of the standard invoice template, we replaced all ActiveX buttons with shape buttons - which are actually "Text Box" controls formatted with proper background colors to mimic the look and feel of buttons. 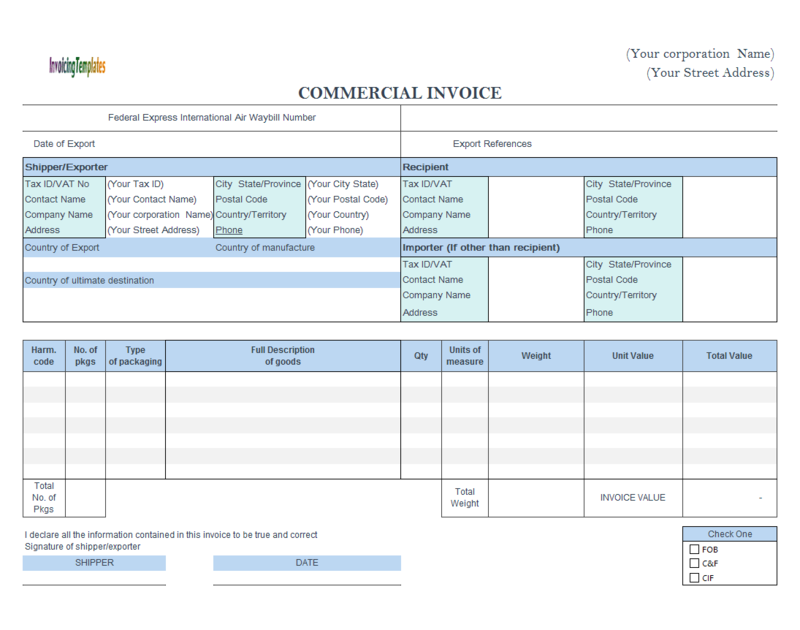 With the release of UIS version 5, all templates published here on InvoicingTemplate.com are converted to use this new types of buttons.